Kristin Pelatti began working at our law firm as a legal intern in the summer of 2017. She earned her Bachelor of Science degree from Siena College where she majored in Accounting and received a Pre-Law Certificate. While in college, Kristin received her Real Estate Salesperson License in 2013 and worked as a Real Estate Salesperson until 2015 under the brokerage Keller Williams Hudson Valley Realty. Kristin has maintained her Salesperson license, continuing as a referral agent and the Social Media and Technology Director of The Pelatti Team at Keller Williams Hudson Valley Realty. In Siena College Kristin was active as a student leader. She was the Student Senate Secretary in 2015, a co-creator and volunteer at the STAR After School Program run through the Siena College Franciscan Center, was inducted and became the Vice President of Phi Alpha Delta Pre-law fraternity, and the President of the Siena College Women’s Rugby Football Club. Two weeks after graduating from Siena College in January 2016, Kristin immediately began the accelerated 2 ½ year program at Elisabeth Haub School of Law at Pace University. 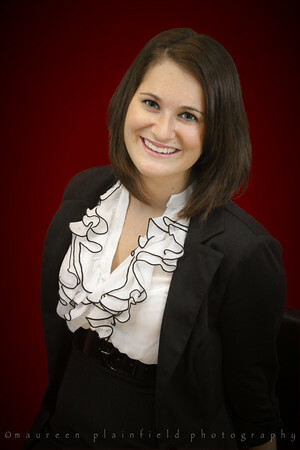 Kristin continued to be involved, being inducted again into Phi Alpha Delta Law Fraternity, participating in the National Energy & Sustainability Moot Court Competition in the Spring of 2017, and accepting a position as a Junior Associate on Pace Environmental Law Review and later becoming the Promotions Editor. In addition to being involved, Kristin has been a diligent and determined student, making the Dean’s List every semester of law school thus far and being accepted into the Semester In Practice Program, a competitive program in which a student may receive credit for working full-time their last semester of law school. Kristin is currently finishing her final semester of law school in the Semester In Practice Program at our firm as a Law Clerk. She is projected to graduate from Elisabeth Haub School of Law at Pace University in May 2018 with a concentration in Real Estate and Land Use Law. NYS Real Estate Salesperson License; New York State Department of State, February 2013.